Despite the fact that the Cleveland Cavaliers have made it to the NBA Finals for each of the last three seasons – and won in 2016 – demand for tickets for the Cavs second-round series against the Toronto Raptors is the lowest among the four semifinals. 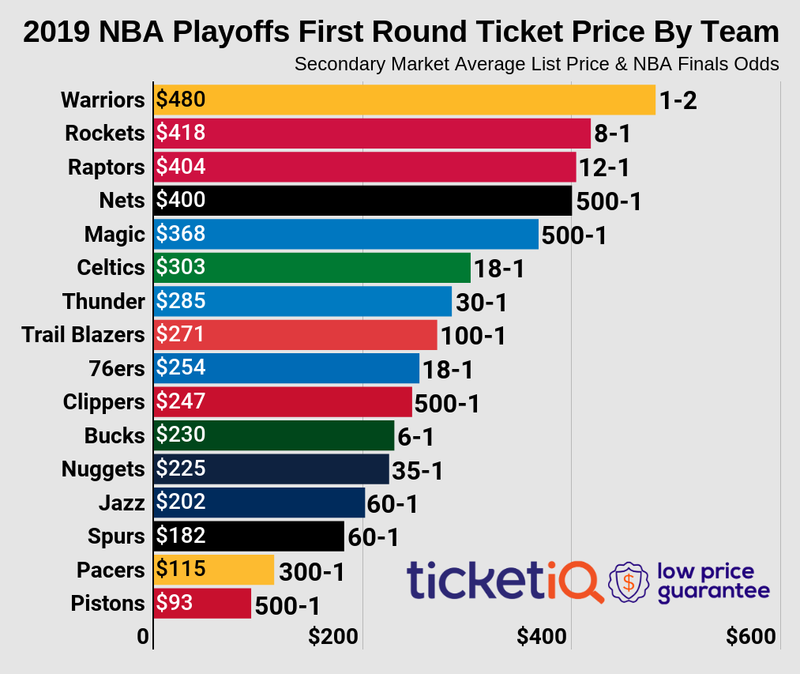 According to TicketIQ.com, the average asking price on the secondary market is $363, as compared to a high of $569 for the New Orleans-Golden State semifinal. It is Cleveland that is dragging down the average – a ticket to see the Raptors play at home is averaging $463, putting it squarely in the middle of the pack, while a ticket to the Cavaliers at home is the cheapest across the NBA at $229. There are more than 2,000 tickets per game available on the secondary market for Cleveland home games, as compared to 1,960 or less per game for a Toronto home game. For the series, the highest average asking price on the secondary market is for an if-needed Game 7 in Toronto, which is currently at $585. The next most expensive is $491, also in Toronto, for an if-needed Game 5. Comparatively, the lowest average asking price is $178 for Game 4 in Cleveland. In fact, all three games in Cleveland currently have an average asking price of $280 or less, while the least expensive game in Toronto (Game 2) is $387. Since 2015, when the Cavaliers got the NBA Finals after a four-year playoff drought, ticket prices on the secondary market for the Eastern Conference semifinals have declined. In 2015, tickets on the secondary market settled at $282, the highest of the decade, then plummeted to $208 in 2016 and showed an uptick in 2017 at $240. Conversely, the Raptors, who won the East but have never been to the Final series, are seeing a marked uptick in demand – the average asking price for a 2017 second-round game was $309, which was down from an average of $390 in 2016.